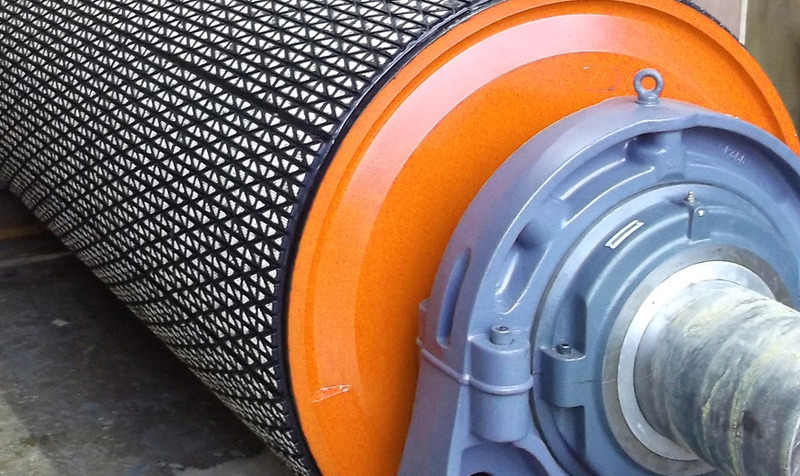 Drive Drums are lagged to provide traction to eliminate belt slip. Plain anti-caking lagging is a softer compound typically 40-50 shore hardness. It has been developed to reduce material build up that damages belts and joints. It also reduces the build up of dirt on side drums that would otherwise easily influence tracking of belts. Autoclaved lagging is the preferred option for many installations. 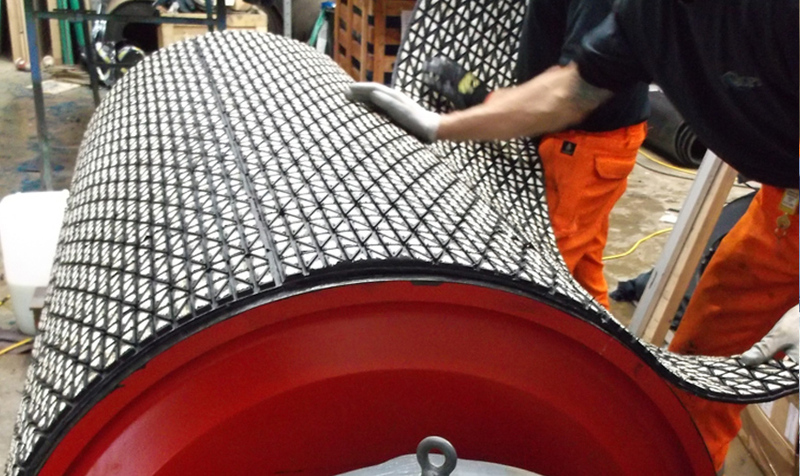 This is performed off site in an autoclave, this results in a rubber covering with a seamless finish and an unrivalled adhesion. With Autoclaved Lagging the Drum needs to be removed from site and returned a few days later. 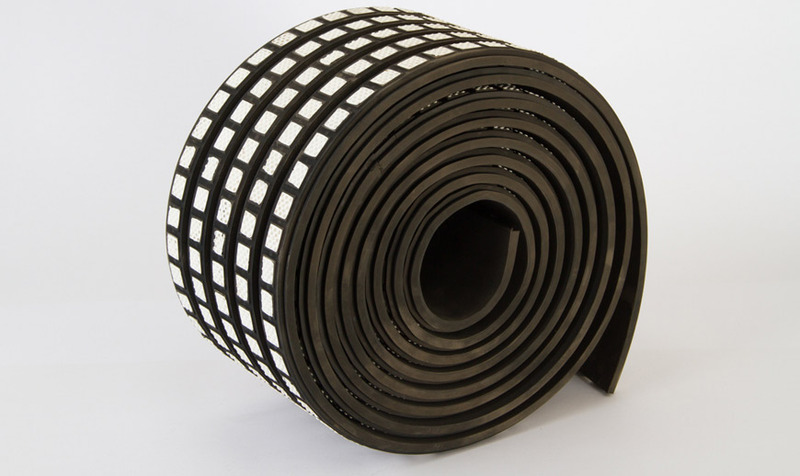 Ceramic lagging is used when belt slippage is a problem and standard lagging will not suffice. 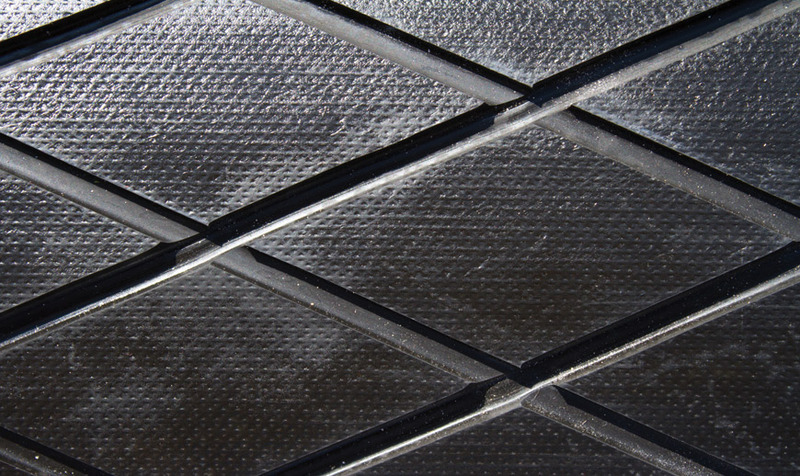 Ceramic tiles made with a raised profile pattern are moulded into a rubber backing. 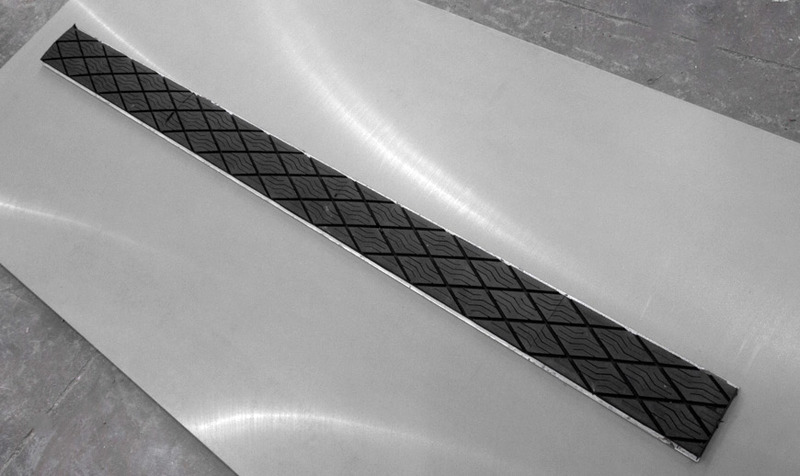 These embed themselves in the underside of the belt which provides positive non-abrasive traction. 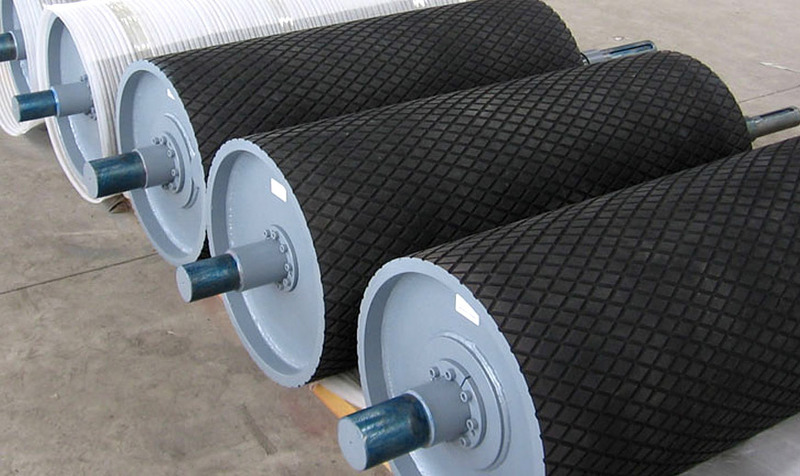 the increased coefficient of friction provides 3x the purchase of rubber lagging. 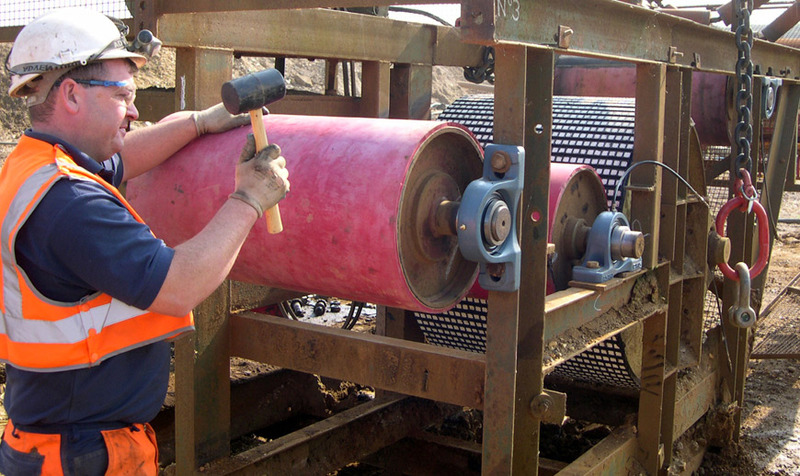 Diamond Lagging has become the recognised industry standard. Slide lagging is used when access to the drum face is limited and conventional lagging cannot be adhered. Retainers are welded to the drum face and then rubber faced steel pads (curved to suit the drum face) are slid into the retainers.